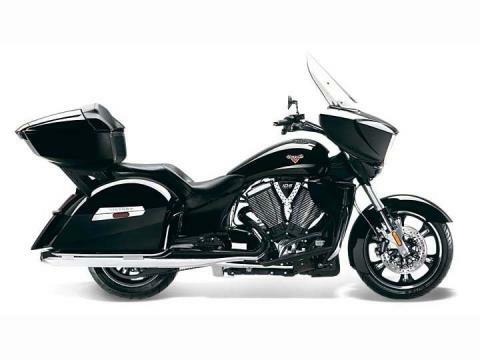 Touring motorcycle riders are rolling up the miles on the innovative Cross Country Tour® from Victory Motorcycles. It has the most storage space of any motorcycle in the world, unmatched comfort, superb performance and distinctive style. Pack everything you need, take to the road and relax for weeks. Front: 18 x 3.5 in.Rear: 16 x 5 in.